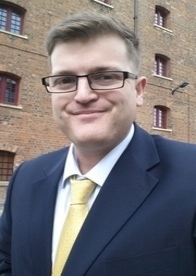 Mark brings a wealth of experience in financial services, having started his career with NatWest Bank 12 years ago, and moved on to a position as an Independent Financial Adviser with a national IFA firm. Mark holds the level 4 qualification of Diploma in Financial Planning, together with Certificates in Mortgage Advice and Equity Release. Mark is committed to further study and plans to attain Chartered status. Mark’s philosophy is that each client is an individual, and so is different. He tailors his advice to meet each individuals circumstances and offers bespoke solutions to a host of retirement, taxation and investment needs. The focus is always on developing lasting relationships with clients, which Mark believes creates solid foundations and builds trust between him and his clients, “I believe that the key to successful financial planning is a long relationship between client and adviser. Regular meetings and monitoring of investments and policies are vital in order to maintain and achieve your financial goals”. Away from work Mark is a keen sports fan, playing local cricket during the summer and watching football in the winter. He also enjoys growing vegetables and spending time with his young family.